An inside look at what aid really looks like in the poorest neighborhoods of urban Africa. An exploration of declining environmental conditions in the Dominican Republic affecting both the health of the ocean and the diver fishermen who depend upon it. An examination of a conservative cultural shift happening in Latin America. From inner city Nairobi to the depths of the Atlantic Ocean, to dinner table talk in Mexico City, UCI anthropology graduate students are conducting cutting edge research with global implications. And six from the department collectively received more than $100,000 from The Wenner-Gren Foundation this year to pursue socio- and cultural anthropological fieldwork at sites around the world. 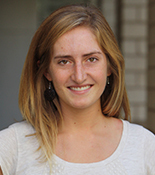 “UCI anthropology Ph.D. students are doing research on extraordinarily complex and important issues, with study designs that will produce rich empirical data, advance anthropological theory, and generate new ideas for solving societal problems, ” says Kim Fortun, anthropology professor and department chair. Scholars in the department – both faculty and students alike – have an unparalleled record of earning competitive research funding and fellowships from agencies including the National Science Foundation, Bill & Melinda Gates Foundation, and International Currency Association, and from campus-level fellowships, such as the Public Impact, Fletcher Jones and Chancellor's Club fellowships. The funding from The Wenner-Gren Foundation for Anthropological Research is particularly important as it speaks to how the department is perceived by a leading funder for the whole discipline, says Fortun. “These dissertation projects demonstrate the department’s commitment to and teaching of creative anthropological research design,” she says. Below, learn more about the six Wenner-Gren recipients, or visit the department graduate program to learn about more on-going work. Project description: Along the northern coast of the Dominican Republic, diver fishermen are faced with a dual crisis: declining health of their ocean environment, and correlating risks to their own health. This project explores perceptions of health, risk, and environment among diver fishermen who - in their attempts to make a living from a depleted and changing ecosystem - take greater risks as they dive deeper and stay longer underwater in order to catch enough fish. Through research with fishermen who have had severe injuries as a result of the bends (decompression sickness), Andrews is exploring how human-environment relations are shaped by changing notions of health and risk through engagements with underwater spaces. Project Description: Through 18 months of fieldwork in New York City (NYC) and Los Angeles (LA), Clark Rubio will examine how grassroots Korean American immigrant rights organizers embody and refuse model minoritization as they navigate solidarity building with Latinx and Black immigrant rights organizers, conservative Korean Americans s, and counterparts working across the U.S. Over the past 20 years, significant growth in undocumented immigration from South Korea had lead to the rise of influential Korean American immigrant rights organizations invested in creating enduring coalitions with other racialized immigrant rights groups. Yet Asian exceptionalism narratives attempt to position Asian Americans as the more “deserving” counterparts to other racialized minorities. Clark Rubio’s project ethnographically examines the contradictions that emerge for Korean Americans immigrant rights organizers as they organize to resist forms of racialized dominance that aim to place them at odds with the very groups with which they seek to build alliances. Project Description: Govindan’s research examines how property relations on the coast of Chennai, India are shaped by rising sea-levels in the Bay of Bengal and ambitious governmental plans for coastal economic development. 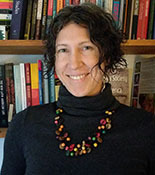 Her work analyzes how social actors form property relations on the coast through four broad domains of activity: real estate, industrial development, moral economies of fishing, and environmental activism. Ultimately her research project asks: how is value created and contested on the coast -through highly uncertain property transactions between fishers, bureaucrats, real estate developers and environmental activists - in a liminal coastal environment where land meets sea? Project description: Despite decades of research aiming to “solve Africa’s problems” and billions of dollars in funding, many of those who are studied see little change in their everyday lives. Particular communities such as groups in Kibera, an infamous “slum” in Kenya’s capital city of Nairobi, demonstrate survey fatigue, falsified responses, and even feelings of being exploited by global processes of scientific knowledge production. Okune’s research examines changing ideas about research ethics and data sharing among social scientists in Africa, responding both to increasing concern that scientific knowledge is not benefiting the communities studied and to growing, global interest in the possible benefits of “open data.” Her study also involves a series of workshops with social scientists in Africa where emerging research results will be shared, critically appraised, and refined. The workshops provide an opportunity to disseminate research findings in a manner that directly respond to the criticism that motivates her research. Project: Wilkinson ethnographically examines emergent transnational conservative movements through an analysis of the rise of one such popular movement: the Mexican pro-family movement. By examining Mexican pro-family advocates’ efforts to oppose “la ideología de género” (gender ideology), an emergent concept used by conservative groups to reference the social construction of gender, and to “secure the family,” her work aims to understand how conservative social movements in Latin America are reconfiguring themselves amidst Latin America's re(turn) to the Right, an expanding transnational pro-family movement, and the entrenchment of security culture. 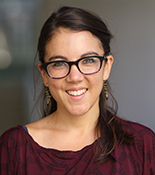 Through a year of ethnographic fieldwork with three pro-family advocacy organizations based in Mexico City, Wilkinson’s work aims to reconsider scholarship on Latin American social movements to account for growing conservative popular movements observed across the region, as exemplified by the pro-family movement, while also advancing understanding of how entrenching security cultures seep into and interact with other areas of life, including the domains of gender and family. 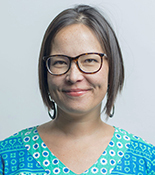 Project Description: Zelnick’s research examines what happens to Cambodian Americans who are deported from the U.S. to Cambodia. Cambodian Americans came to the U.S. as refugees following the Khmer Rouge regime (1975-1979) and were granted legal permanent residency status. However, upon conviction of certain crimes, individuals may become deportable. Zelnick will conduct 12 months of research in Phnom Penh and Battambang, Cambodia, two provinces with large deportee communities, as well as eight months of research in Long Beach, California, which is home to the largest Cambodian diaspora community in the world. Through participant observation, interviews, kinship and sociality mapping, and archival research, Zelnick’s research interrogates how the emergence of "deportable refugees" challenges notions of transnationalism, migrant precarity, documentation, and illegality.